Finally, Geli Fruits and Yogurt Creations Conquered Cebu! 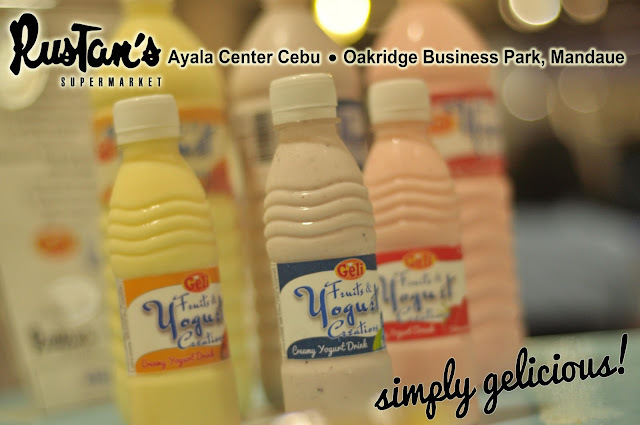 After several months of negotiations with Rustan's Cebu, they finally approved Geli Foods and its partner distributor in Cebu, Chimera Enterprises, to display and sell Geli Fruits and Yogurt Creations in all of their stores in the city. Deliveries will start initially in Rustans Supermarket in Ayala Center Cebu and Oakridge Business Park, Mandaue. Other stores, Rustans Supermarket Banawa, Shopwise Cebu in Basak and Wellcome Supermarket in Minglanilla will follow in a few days time.